mountain goat and go all day. You might encounter deer, elk, cows, sheep or cowboys on this incredible grinder of a route, but you can count on pedaling 119 miles with just under 9,000 feet of elevation gain. 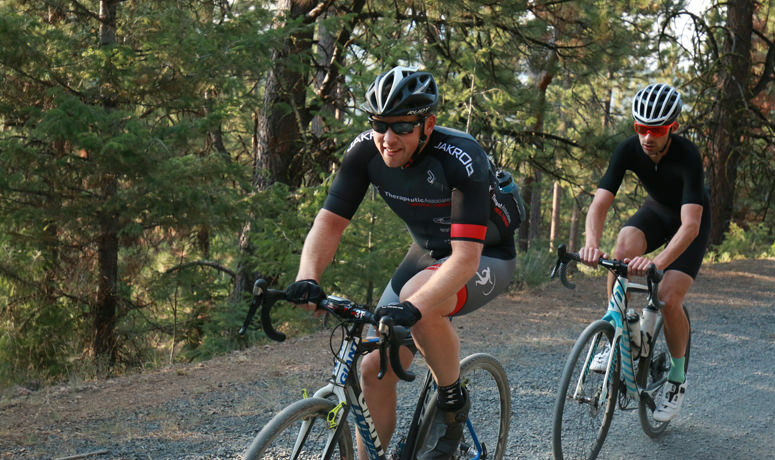 Each August this Central Oregon route becomes a race event known as “The toughest gravel event in Oregon,” but you might choose to travel it at your own pace – and maybe as an overnighter. 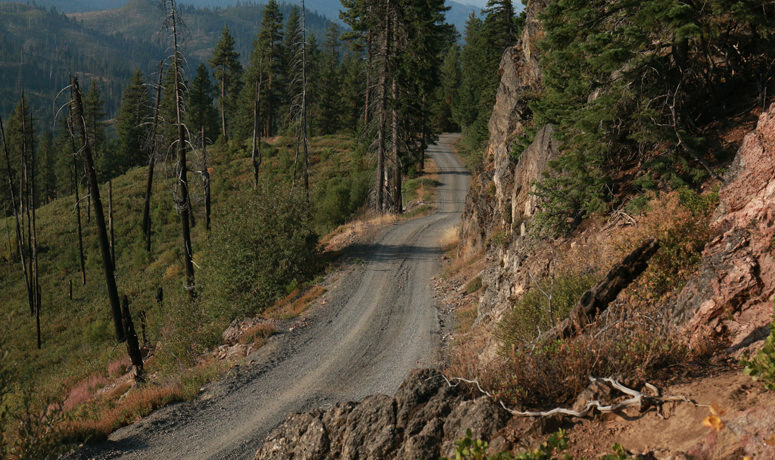 From the Crooked River Park, head north into farm and rangelands as you leave Prineville, and then swing higher on pavement into the Ochoco National Forest and on up into Harvey’s Gap. 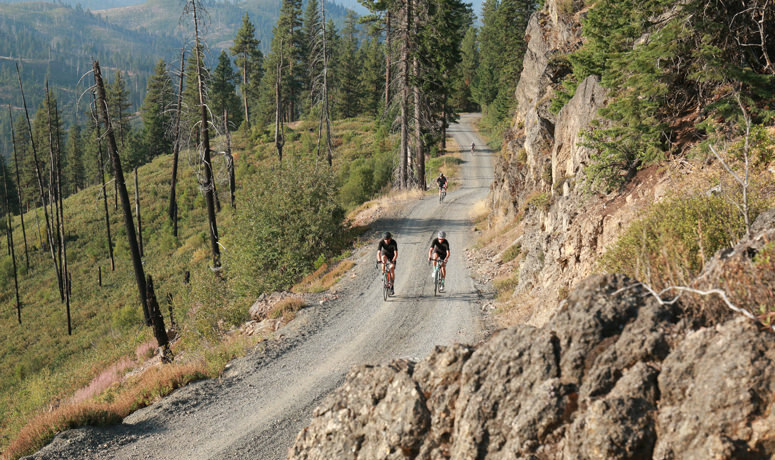 By the time you reach McKay Creek Saddle, you’ll have made a 3,000-foot gain, overlooking meadows and cruising through the open forests of sweet-smelling ponderosa pine – and you’ll have found gravel. At the saddle, you overlook Mill Creek Wilderness and the creek that gives it its name, as well as the two rock spires of Twin Pillars and other rock formations. You might note blackened areas where forest fires raged in 2000. Walton Lake and Big Summit Prairie boast wildflowers in late May and early June, and scenic vistas year-round. Watch for large birds of prey, including turkey vultures, and herds of wild horses. From Round Mountain and Lookout Saddle, it’s downhill to Ochoco Forest Camp, where you’ll head back into Prineville. 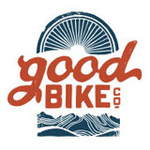 Good Bike Co. LLC is an independent bicycle shop in Prineville, Oregon, now known as the best little bike town that no one has ever heard of. 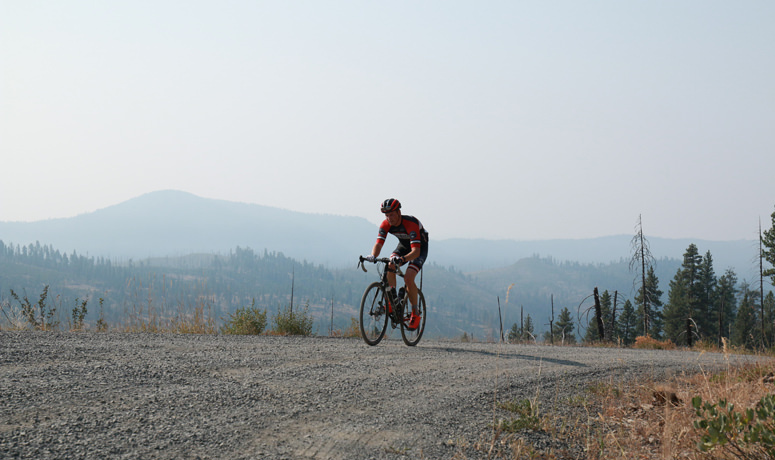 Join us in the most bike-friendly state for a tour of our beautiful Scenic Bikeways, our rugged gravel rides, or our world-class single-track. Please stop by our shop and saddle up to our bar to share a story, sip a cold local craft beer, discuss building your next custom bike, tell tall tales of big bicycle adventures, or just talk shop. Our friendly crew is equipped with top mechanic skills and area bike knowledge – we’re here to help make your adventure cycling the best it can be.